On June 23, 1939, Congress chartered the Coast Guard Auxiliary authorizing the Coast Guard to use civilian volunteers to promote boating safety on the nation&apos;s waterways. On its 70th anniversary, the auxiliary, "America&apos;s Volunteer Guardians" continues the long tradition of helping protect boaters and all Americans. 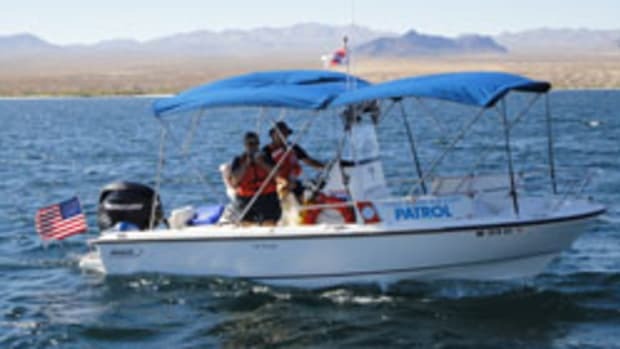 Nationwide, 30,000 auxiliarists assist in patrolling harbors and providing boating education and free vessel safety checks to recreational boaters. Since 1996, Congress has authorized the auxiliary to provide support for most Coast Guard missions. • Taught boating safety to 1,678,946 people with 980,000 hours of classroom work. Coast Guard commandant Thad Allen recognizing the auxiliary stated, "...As the finest all-volunteer organization in our nation, I consider each of you an integral part of our Coast Guard. We simply could not meet the challenges we face or conduct the missions we do on a day-to-day basis without your selfless devotion to duty ..."